No worries catti, got to sort yourself out before a game. If you give me a shout on here i can always log into Lotro as its normally updated and the boerning i have at lvl7 is still at lvl7. Been out of Lotro with EvE again since joining a new alliance but if i know i can always jump back. It was most likely because i actually did most of the recording about 3 months ago when i had my spell on Lotro. Since then i have got a little better and more patient making videos. Most likely didnt convert this to as higher quality as i do now. Ok so i know this took me a bit of a while to make this, i might have forgot about it. Either way enjoy. 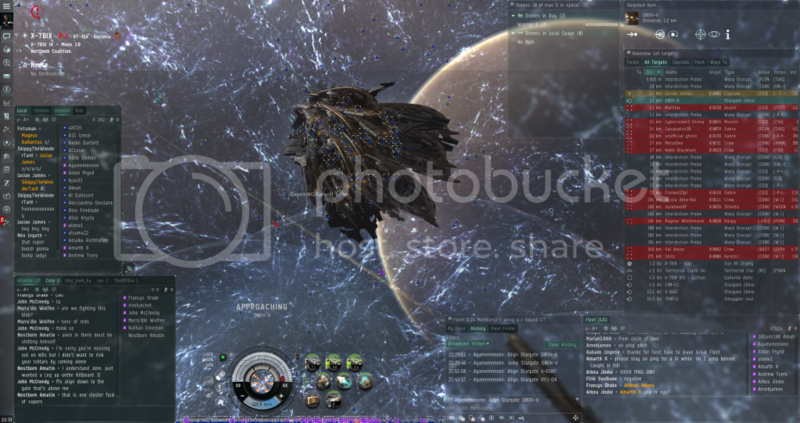 Burner missions are CCP's way of trying to bridge the gap between PvE and PvP. whether they have done it well i couldnt say but some harder missions that need thought are always good. It sounds like it would have been a burner mission. I believe you can cancel these without standings loss however don't quote me on that. Its been a while since I did any form of mission and I haven't tried a burning mission before. Good song though, I like it. Topic: As usual, d0rfs get the point across. Re: As usual, d0rfs get the point across.